Help you make sense of the subject everyone is talking about: What is sustainability – and how can it be achieved? Create valuable space for reflection and action planning among supportive peers. 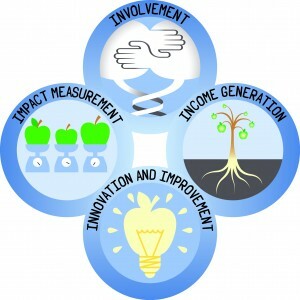 The workshop is based on the newly launched sustainability toolkit ‘A Lasting Difference’, exploring the four core capabilities of sustainability: Involvement, Income Generation, Innovation and Improvement, and Impact Measurement. It is particularly suitable for organisational and project managers and those in development roles, but will be relevant to anyone with an interest in making a lasting difference.